The Hebrew characters shown here are those of the "square" script, which the Jews borrowed from Assyria during the Babylonian exile. Prior to that, Israelites had used alphabetical characters closely resembling those of the Phoenicians, who were the first to devise a phonetic alphabet. The original characters of the Phoenician alphabet are shown above the corresponding "square" script characters in the table below. 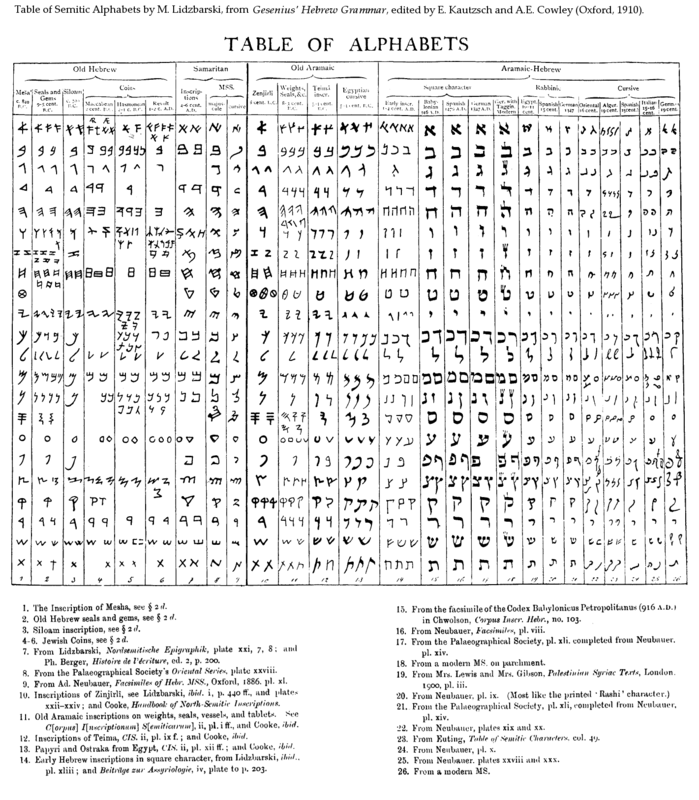 The historical development of the Hebrew alphabet may be seen in the Table of Alphabets by M. Lidzbarski.